The Alfa engine is probably a lot heavier than the stock VW engine. And the engine has a lot more power. These two things will create a greater strain on the rubber gearbox mounts. When I restored my bug, I didn’t replace these rubber mountings. But now there is a need to have these in good shape. I ordered from Franky’s VW service a set of extra strong rubber mountings and an extra strong gearbox bracket. 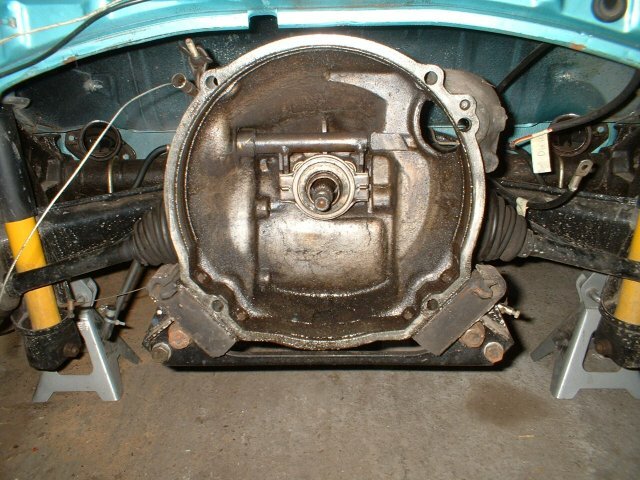 The older type rear gearbox mountings are stronger than the newer ones, which I had in my 1303 beetle. 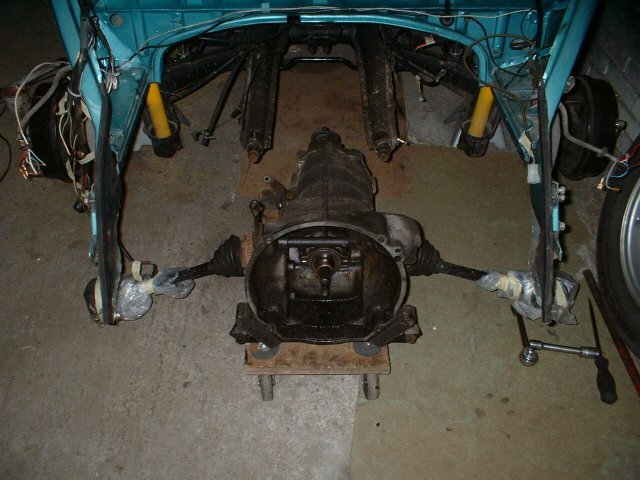 Now I switched to the older type, and strengthed, gearbox bracket with older type, and stronger, rear gearbox mountings. This together with the stronger nose mounting rubber should do the job. Now I can put the gearbox back in the car. 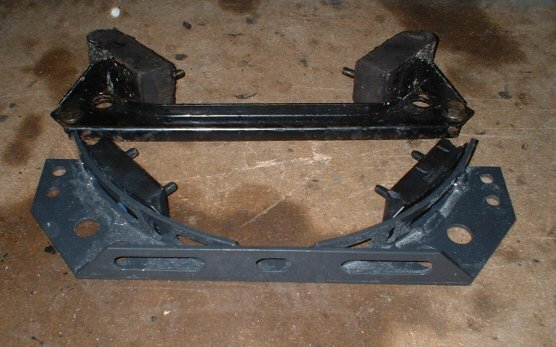 Nothing much to say about it….the new stronger bracket fitted quite nice! 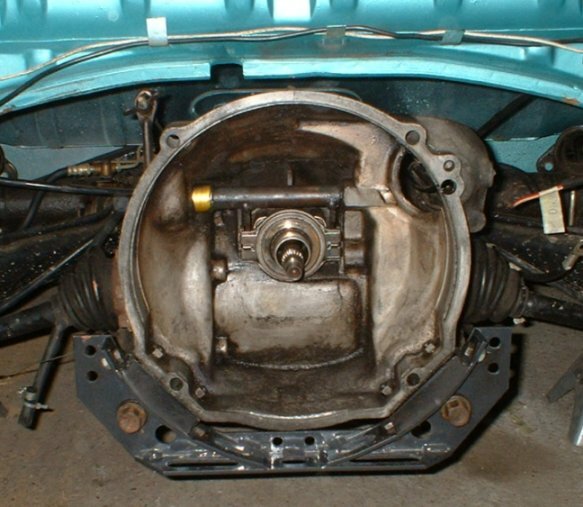 The only thing I still have to do to the gearbox is create a block-off plate for the place where the original starter was mounted. Please I want to bey Engine VW Beetle complet with the gearbox. How much is? The VW beetle engine is already sold, and the gearbox is not for sale.